We have 3 "10 Minute" tanners. Accelerating lotions are available to help you achieve the results you want! 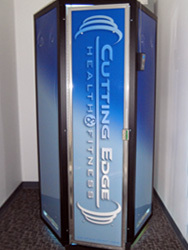 Enjoy unlimited tanning at Cutting Edge! *see front desk for details.